Non Profit Fair Association, started in 1936, is governed by an all-volunteer board, with assistance from the membership and volunteers. The Mason County Fairgrounds is a facility that has a variety of events, in addition to the County Fair, from April through October each year. Visitors will see our heritage in agriculture practices from our Historical era through modern technology. We also host a variety of other events, including Winter Storage, Open Air Flea Market, Mason/Lake Conservation District Tree Sale, Lakeshore Animal Friends Yard Sale, 35 Days of horse shows, Haunted Fair Grounds, Beef Show, Swine Show and Assorted Motor-home/Trailer/RV rallies and jamborees. 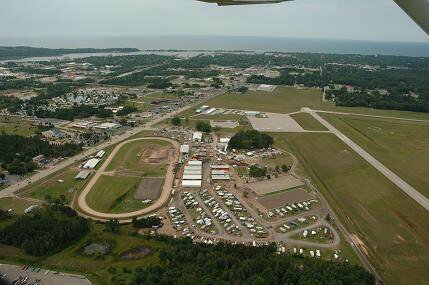 On US-10 North of Muskegon and South of Manistee, we are located adjoining grounds to the Ludington Airport.